Public hunting can be tough or easy if u put in sweat equity (scouting). Had trail cameras out in good spot, and it paid off. Nice bird! Wish I had seen one like that up at Caddo. It appears to be tough going right now for me and everyone I know. How bout y’all? Seeing anything on the hoof? Ummm, the book says "hunting", not "hunting related". Were you carrying a weapon? If you weren't carrying a weapon, how does he know you weren't hiking? I know that the use of hunter is encouraged and recomended, even for hikers. However, it isn't required when your scouting/hiking. To be honest, rules on ALL WMA forest land. I have heard of them coming into the woods to check a hunter (even on the stand while hunting) to make sure orange is being worn, license and permits are squared away, etc. In your situation, I believe you were legal. I don't believe you had to have it on, I'm glad you didn't get a ticket. All other recreational users are only encouraged to wear it. national forest and grassland are different. Thus the separate paragraph at end of that post. Anyone hunt the boles field area? This will be my first time hunting public land, I'll be goin to Moore WMA. This may sound like a dumb question (but I've never been there) where do I park my truck when I head in to hunt? I've gotten maps and permit and all that, just looking for some help as to where I can and cannot go out there. Anyone have any info for me @ Moore Plantation WMA? I've tried google and haven't found much info, tried calling the information center up there but haven't reached anyone yet. Park wherever you like on the side of the road. So long as you're not impeding traffic, you are fine. In my mind Moore Plantation is split into two sections, North(above 2426) and South(below 2426). FR114 splits the south side into east and west and FR152 runs a loop through the north side. Deer are all over the moore and by keying in on certain terrain features, you can be very successful out there. Anyone have any success. I had a few does around but no doe tag. I'll be back there the Sunday before Thanksgiving for a week of hunting our land along with some SNF. Headed up Sunday. Going to hunt til Tuesday. I too will be pulling in our place some time late Sunday north of Milam. Got my Dad and uncle hand feeding a few spots and should be sitting over one of them looking for a good one early Monday morning. Forgive me for asking a potentially dumb question, but since SNF doesn’t hav doe permits issued (except the Moore) can you take a doe on regular snf? Only during bow season and muzzleloader season. I think? I always try to get between thick bedding and where the acorns are dropping, or even private land . Most of the places I hunt you can see the trails that look like game highways . I usually always see does when I go ( and lots of pigs ). Another question. Looking at Google earth there are a few ponds out on the Moore plantation. Has anyone tried to hunt near them maybe duck hunt them. you will get one on public land just keep doing what your doing and it will happen. keep scouting them and knowing there were abouts. Well after a few days we got on some small bucks and does. 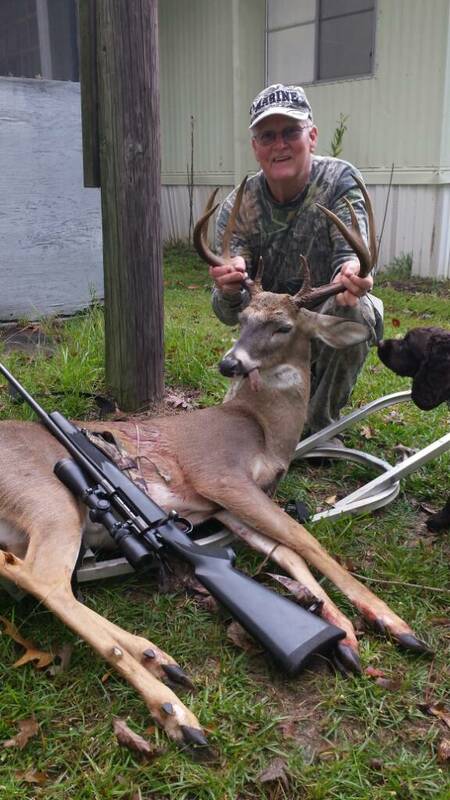 Buddy missed a doe. And it was a toad..... Congrats. Ashton and I spent the majority of the week hunting the same ridge that over looks a large acorn flat where I killed my buck last year within the national forest while my brother, and others hunted our private land. We ended up seeing over 15 different deer and killed one black hog from that acorn flat. Out of the 15 deer we saw, 5 where bucks, but none even close to being legal. Most deer I have ever seen in the national forest during a hunting week. Got checked by the local Game Warden, Mr. Williams I believe was his last name. Very polite and respectful man. 2 of the mornings Ashton and Breck wanted to sleep in, so me and my brother eased into a Cypress Slough and banged a quick mix bag limit of ducks.....Teal, Wood Ducks, Gadwalls and a Widgeon or 2. Best of luck to all of you SNF guys and hope all fill a tag during the last half of the season. Anyone been scouting. Been splitting time in the Moore and out at deer lease. Seen more sign and deer in the moore. Of course it was Norm...that's the same Charles you met at the banquet a few years back. He and I hunted together and took our birds hours apart day. Was a good successful couple of years after that too..
Last edited by GraceNmercy; 09-12-2018 at 01:24 AM. I will be hunting the Moore in December. Should be nice and cold then. Is Moore the only place to hunt in the SNF, or can you hunt the public land around fairmount, 6mile, fin & feather etc. Anybody killed anything yet? Been scouting? anything? Had a 6 point at 20 yards for 15 minutes could not make him 13 inches. 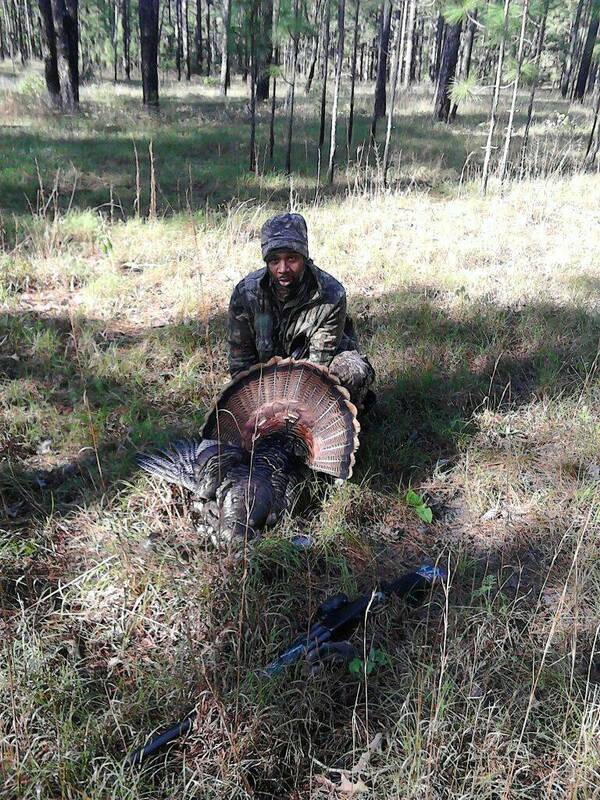 Friend of mine hunting Six Mile area got one this am . .
That is awesome, congrats to him!